Subscribe to my new email list to read about upcoming classes and special events, sales on patterns and other merchandise, design lessons, and even technique how-tos! Spring is springing - even here in the Midwest, where it has been Polar Vortex deep freeze and now an on again-off again teasing of the coming of Spring. 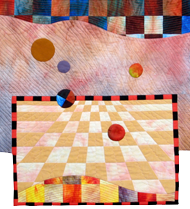 We are all longing for color to arrive outside but we sewers know that if it doesn't come right away, we can at least sew something up that portends the arrival of Spring. Happy Spring Sewing!! 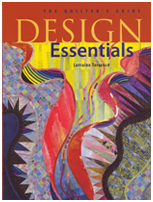 Third Reprinting of Design Essentials! The third reprint of Design Essentials is freshly back from the printer in Hong Kong and ready to be your trusty companion when it comes to design principles and elements. 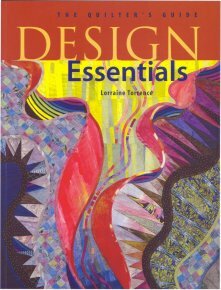 There are also 5 chapters of design approaches to inspire you and keep you learning something new. Through the end of March, 2019, we are featuring another three patterns for you to try out at a 25% discount! 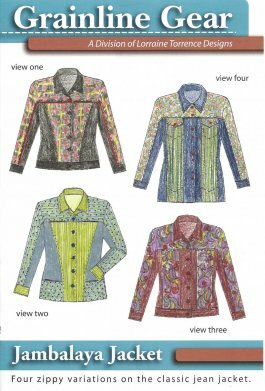 Lorraine Torrence Designs pattern, Tablecloth Shirt, is a shirt pattern with two lengths, two sleeve lengths and two collar styles, to make from a bordered tablecloth or a favorite yardage with your own pieced border; Grainline Gear's Jambalaya Jacket, designed by Ruth Vincent, a jean-type jacket in four views, three lengths and perfect for combining three fabrics or filling panels with your favorite technique. 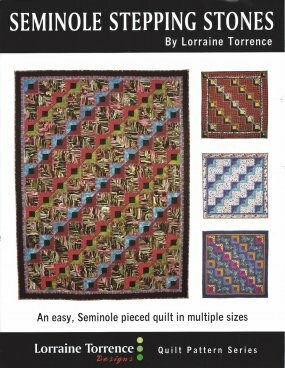 Seminole Stepping Stones, from Lorraine Torrence Designs Quilt Pattern Series, designed by Lorraine, is a Seminole-style, strip pieced quilt with three sizes included. 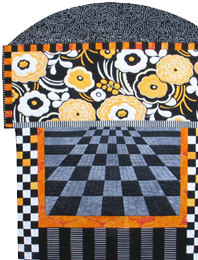 The new patterns of the month will continue to enjoy the Pattern of the Month spotlight until the end of Mary! Just click on the pattern name above or the picture below to buy it! 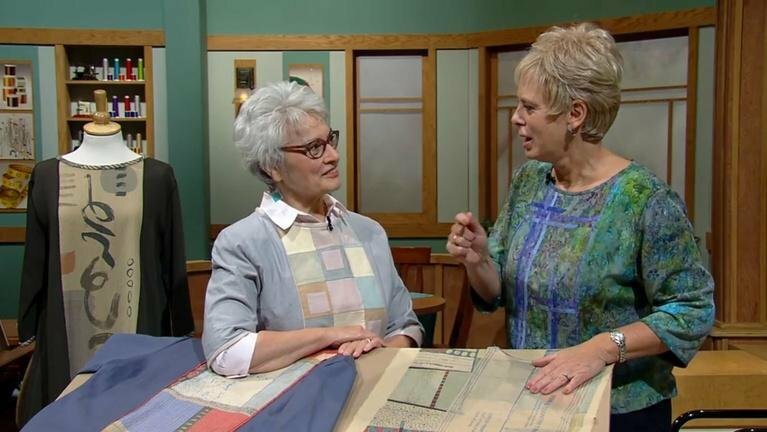 My Sewing With Nancy videos, Fashion Sewing: Plain to Fabulous from the two Shows, which aired in January of 2017, are still available in the Wisconsin Public Television website. 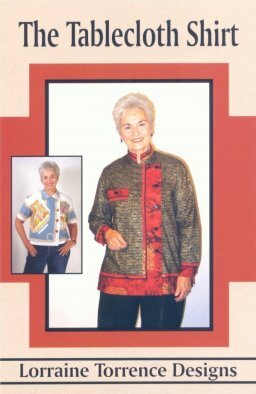 You will also find a DVD of the two Fashion Sewing: Plain to Fabulous shows on this website for the Spring reduced price of $10!